Nancy : A troubled Girl finding herself. Debutant Christina Choe takes inspiration from a real-life incident involving identity theft, reminiscent of The Imposter (2012, documentary), and weaves a compelling and riveting story of a lonely woman trying to find an emotional connection that lacks at home. She creates a desirable personae putting her heart and soul into it to manipulate others taking advantage of their emotional vulnerability. Latching on to their fragile personal crisis, she provides an emotional peace that is moving and comforting. Nancy (played by Andrea Riseborough) is a loner who craves for a connection to share her life and emotional space. She lives with her impassive mother suffering from Parkinson’s disease. The restrained relationship shows cracks during their dull conversations over the dining table. Her ecosystem is unpleasant, melancholic and sombre. She tries everything in her capacity to escape the reality of life. The blue hue light of electronic device illuminates her face at home. The lack of love and emotional substance at home propels to create an alternate persona on the internet. She becomes what the other person wants her to be, so to like her. Her mastery to play the drama could be gauged based on her meeting with an email correspondent – played by John Leguizamo who lost his child after a few hours of birth -and how convincingly she pulls off a character of pregnant blogger. It is moving. More importantly, the man believes her, he feels the connection and sympathizes with her. After her mother (played by Ann Dowd) passes away, Nancy doesn’t seem to know what do with her life until she sees the news broadcast of the 30th anniversary of the 5-year-old girl’s disappearance. The uncanny similarity to the computer-simulated future projection of the girl (Betty) with Nancy sets the drama in motion. She is quick to check the files and find her Birth certificate missing from it. She believes that she could be the missing girl of Ellen (J. Smith-Cameron), a professor, and Leo (Steve Buscemi), a psychologist. Christina Choe deploys the 4:3 aspect ratio to show the enclosed space in which Nancy feels bound. It creates a claustrophobic feeling. Even her room looks drab and cramped with limited space to move. Low-lit space circled with the pile of books makes her repressed feeling even more tangible. As Nancy shifts to Ellen & Leo’s house, the colour palette changes from muted and dark colours to bright and pleasing one. The uncertainty exists whether Nancy is Betty or not. Ellen and Leo are flabbergasted on Nancy visiting them but Leo is cautious, and he holds back the gushing emotions. They have suffered from one false alarm before. Their meeting is awkward at first, but soon their emotions overpower their conscious efforts to stay rational. The tension mounts whenever they sit for dining. Leo asks questions that are interrogative in nature, and Nancy answers them innocently. They get three days before the DNA results are out. Everyone has questions, be it the couple who wants to know about her life, or be it Nancy who jogs her memory to recall her childhood. Choe’s screenplay is nuanced and smart. She creates the uncertainty on two aspects; either Nancy sincerely believes that they are her parents and everyone, including Nancy, waits for the result, or Nancy is impersonating. We are left hanging in ambiguity on both the fronts and the outcomes will be emotionally devastating. Choe derives the driving force from the empathy towards Nancy. Though the character is morally wrong and stands no chance on legal ground, there is an emotional truth to her feelings that resonate with people and audience alike. 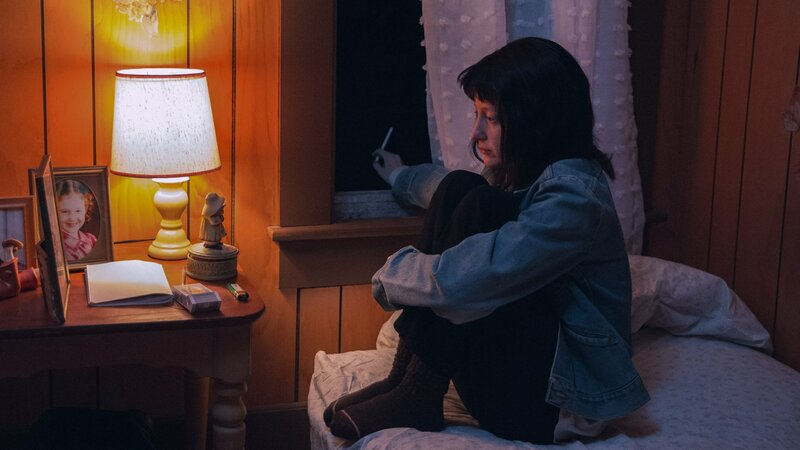 Andrea Riseborough lives and breaths the character of Nancy, or it would have been difficult to buy her honest feelings despite lying to people about her real self. ‘Nancy’ WAS SCREENED AT THE 20TH JIO MAMI MUMBAI FILM FESTIVAL WITH STAR. PRODUCTION: An EON Productions presentation of a Mental Pictures production, in association with Gamechanger Films and XS Media. (International sales: WME/Endeavor Content, Los Angeles.) Producers: Amy Lo, Michelle Cameron, Andrea Riseborough. EXECUTIVE PRODUCERS: Barbara Broccoli, Michael G. Wilson, Mynette Louie, Rachel Song. CO-EXECUTIVE PRODUCERS: Julie Parker Benello, Dan Cogan, Geralyn Dreyfous, Wendy Ettinger. CREW: Director, writer: Christina Choe. Camera (color): Zoë White. Editor: David Gutnik. Music: Peter Raeburns.